On July 14th, 2015, Microsoft will no longer be supporting Windows 2003 Server. If you haven’t already taken action, please do soon because security updates and technical support will not be available. You or the company’s data can be compromised by harmful viruses, malicious software (Regin) and other sneaky hackers. There has been an estimated 11 million Windows 2003 servers still running as of this month. No company wants to face issues with compliance auditing, patches, hardware or software compatibility. Start by creating a detailed action plan on how the migration process will flow. There are many ways to approach this; here are some helpful tips on how to get started at TechTarget . Take necessary actions as soon as you can and avoid severe consequences such like data loss and unsatisfied company compliance requirements. 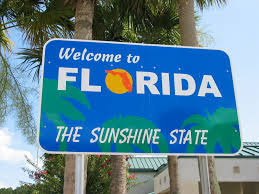 Florida Locks Down on Data Security!